While the long, hot Hawke’s Bay summer appears to be behind us, wine growers and drinkers alike are still reaping the benefits. The warm weather coupled with moderate to cool nights lead to optimal ripening conditions, which had lead to a vintage to remember for Hawke’s Bay’s three signature varieties, chardonnay, syrah and cabernet sauvignon/merlot blends. 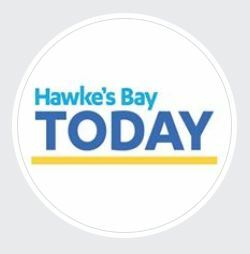 Hawke’s Bay Winegrowers chairman Michael Henley said this year would go down in history as one of the best vintages in Hawke’s Bay. “The 2019 vintage will produce wines that will further establish Hawke’s Bay as one of the great wine regions of the world, recognised in particular for its chardonnay, syrah and cabernet sauvignon/merlot blends. Photo: Hugh Crighton, said it’s a rarity to see all varieties in a diverse wine growing region like Hawke’s Bay, all stand out.